Inspired by animated emojis, Alison Chemla delivers the ultimate instant messages to mix and match in our day-to-day jewelry. New-York native, Alison Chemla is the creative director and designer of Alison Lou, a fine jewelry brand she officially launched in 2012. Her first emojis collection, inspired by animated emoticons that we share through text message, email or Instagram, was a direct lead to success for this talented and young designer. 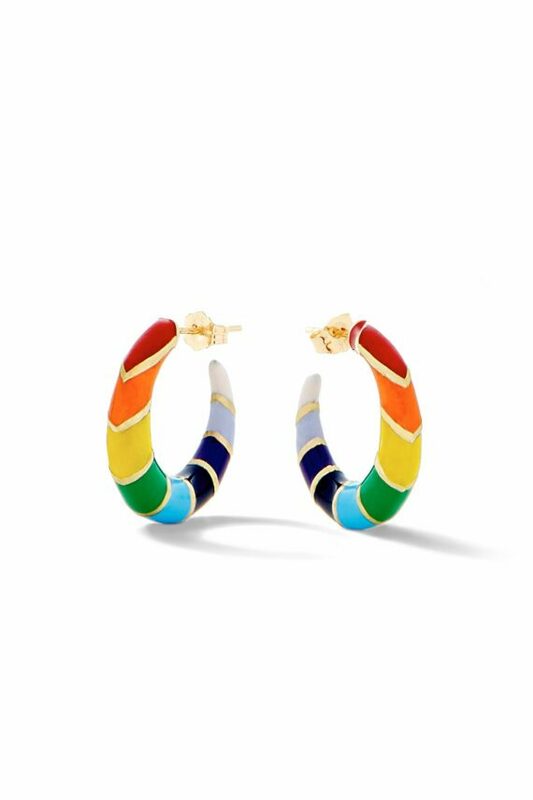 Completely in keeping with the times, her playful and cheeky jewelry combines the expressive symbols we use on our daily basis with elegant materials. Starting at $110, her line of emojis allows her customers to get creative. 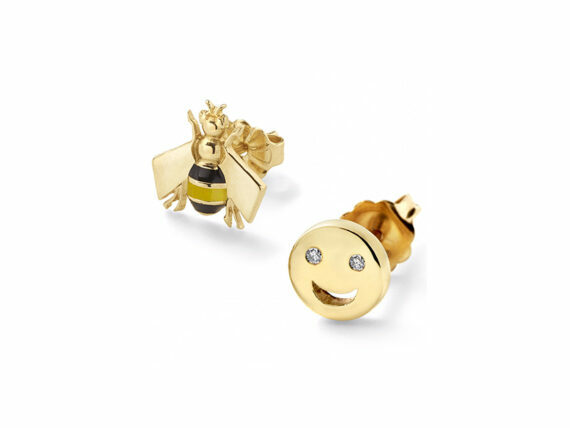 Don’t be shy to express your feelings with whimsical earring combinations such as the Bee Happy Studs made of a smiley set diamond eyes and a bee stud paved with black and yellow enamel. Paying a lot of attention to quality, Chemla also steems up with luxurious version of the digital lexicon. 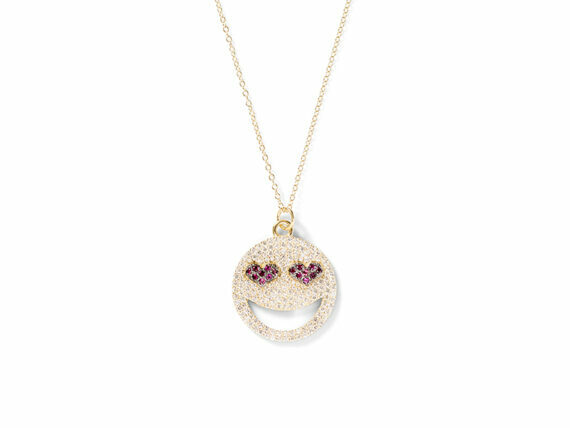 Put a smile around your neck with the Bling Lovestruck 14K gold necklace, paved with diamonds and rubies. 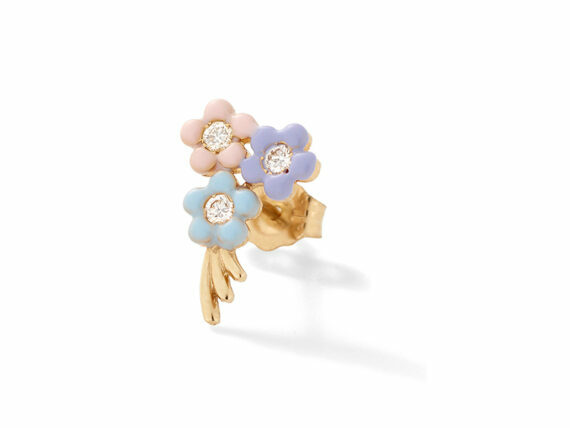 Alison Lou isn’t the only one designer referring to instant messaging trend, that’s why she makes a point of coming out with new, non-emoticon themed sets each year, such as “Decadence” collection or her floral-themed line of jewelry. 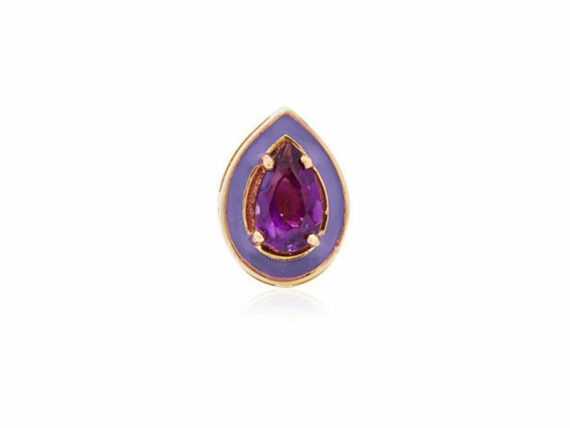 She gets most of her inspiration from her hometown city, New-York, but also from antique jewelry, specially charms that give her ideas for her collection. With a background in art history and cybergraphics, the fine jeweler both use 3-D Computer –aided design to have her jewels produced or create them by hand, depending on how she wants each piece to look. Exalting the expressive symbols into precious pieces, Alison Chemla’s collections allow people to send humoristic but powerful message through all of her Alison Lou variations.